"Think I'll pack it in and buy a pickup / Take it down to L.A."
for the ditch," after he made this album, but signs of the ditch are already evident here. distinguish this music from the usual chart-hit mache. "Out on the Weekend"
a permanent symbol in Neil's work. With this song you can escape anywhere. "Did I see you walking with the boys / Though it was not hand in hand"
fact works better here than anywhere else. The song is simply heart breaking. "I'd cross the ocean for a heart of gold"
"Oh, one look at my eyes and you can tell that's true"
Your Cadillac has got a wheel in the ditch and a wheel on the track"
"The Needle and the Damage Done," brings Harvest to the bottom of the ditch. It is Neil's anti-drug manifesto, performed live on acoustic guitar. However, the tune itself is strictly MOR. Imagine the lyrics of "From Hank to Hendrix"
deals may not be appropriate. The last song on the album is also "ditch." argue that it is conceptually perfect as a document of Neil's personality. Harvest - More Reviews and commentary. appearances. They do "For What It's Worth" and segue into "Mr. Soul." guys figure out what they should play they get right back into the groove. about apple pie. I liked it until Crosby got in there. 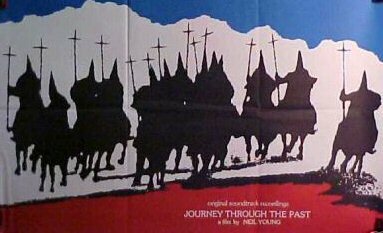 Journey Through the Past album soundtrack and film. And my words are all so sad"
for a three-month trip that was scheduled to visit over sixty cities. batch of new songs. Part way into the tour Young's voice began to give out. atmosphere was too much for him. Bridge." Two of these songs are older numbers not written for this tour. Keith mainly provides an atmosphere, his playing is sharp, biting and urgent. difficult period in Neil Young's life, both in musical and personal terms. diminish into memory. Luckily, Neil Young has never done the safe thing. On the Beach is perhaps the most personal record Neil Young will ever make. Buffalo Springfield days, with songs like "Out of My Mind" and "Mr Soul,"
"They go their way, I'll go mine"
"All you critics sit alone / You're no better than me for what you've shown"
sound vastly different from each other. song, "See the Sky About to Rain." Some reviewers have suggested that it is an attempt at irony on Young's part to include a prime example of his "downer"
chosen to sing a song that strained their vocal range as much as this? ecological themes found throughout his body of work. Side two is a whole different ball game. The mood is somber, almost narcotic. great surprise to those who know Young only through his Ragged Glory period. leaving the lyrics as the focus of the listener's attention. Harvest. I guess this is because the record is so musically interesting. "Where men STUB their toes on garbage pails!" 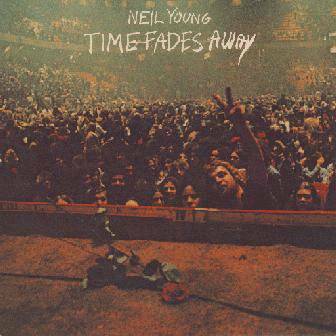 for any collector of Neil Young albums.